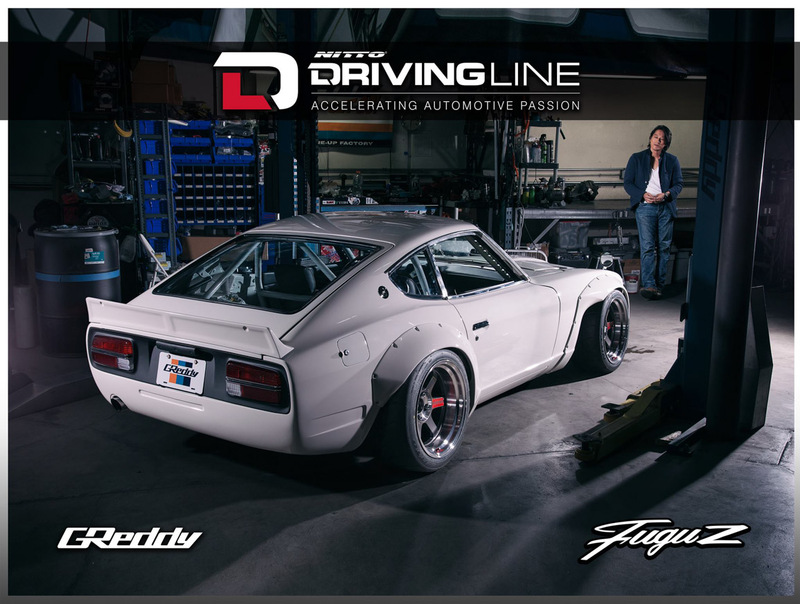 Sung Kang and his Fugu Z was the talk of this year's SEMA Show, and if you stopped by our Driving Line booth, then you were sure to have walked away with one of these exclusive Fugu Z posters. They say a picture is worth a thousands words. If this poster could talk, it would have tons of amazing things to say about the day it was created. GReddy was a perfect host, Sung was excellent to work with and our photographer is the best at what he does, but there were still a lot of things that needed to happen before it could actually happen. 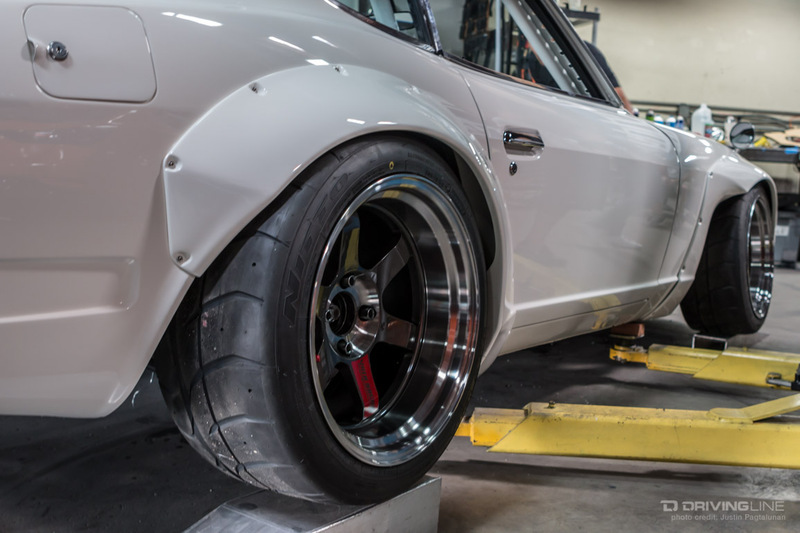 As with most SEMA builds, this one ran up until the last minute, and this BTS (behind the scenes) story is exactly that: Enter the 11th hour of the Fugu Z. 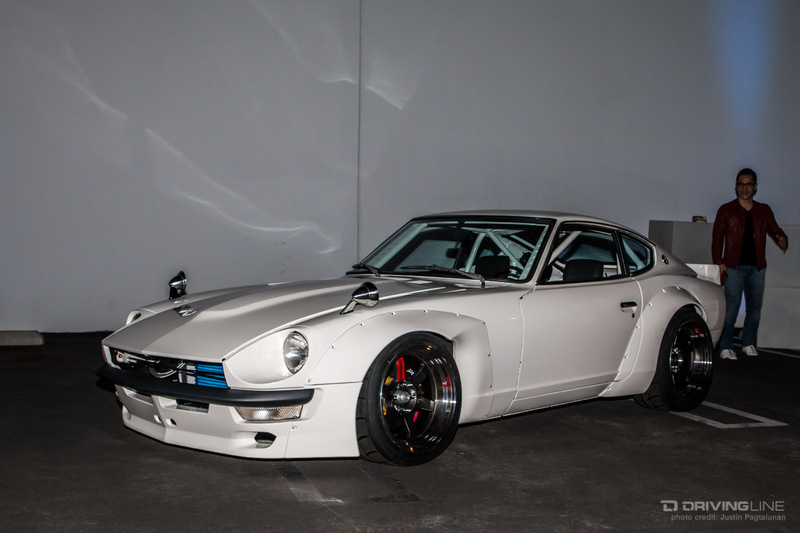 When we arrived on the scene, the Datsun was still up on the lift, still waiting for essential parts to be installed. But right when it started to get tense, we heard a roar come from GReddy's garage - could this be it? Almost. 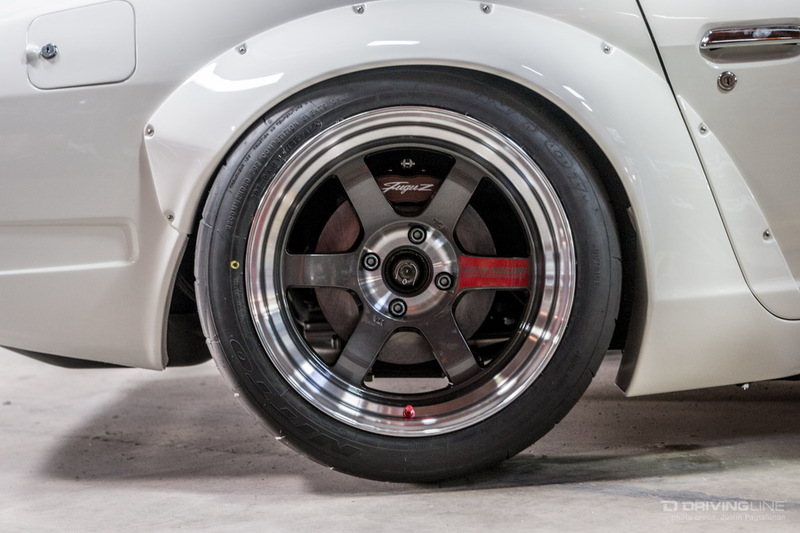 The custom sized Volk Racing TE37SLs with Nitto rubber finally made their way onto the car, down to the ground and GReddy's mechanics placing the front hood back on. 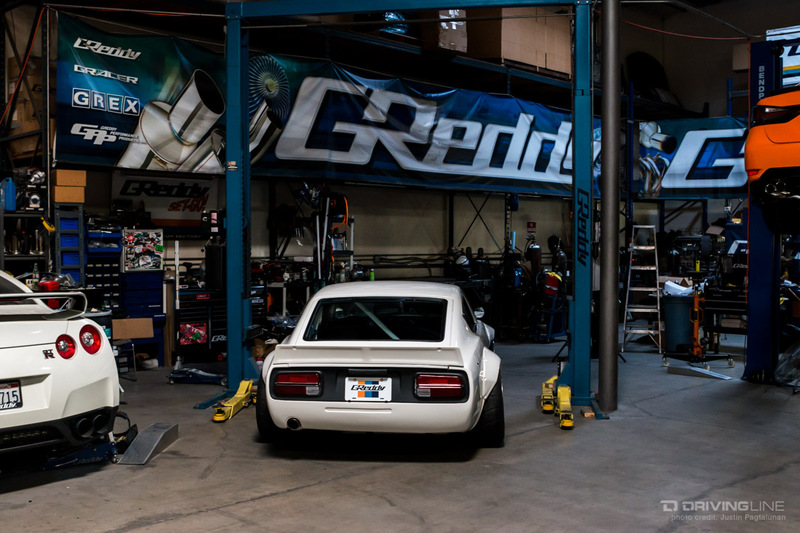 While they were putting on the finishing touches, we decided to get some test shots with this clean Datsun Bluebird. 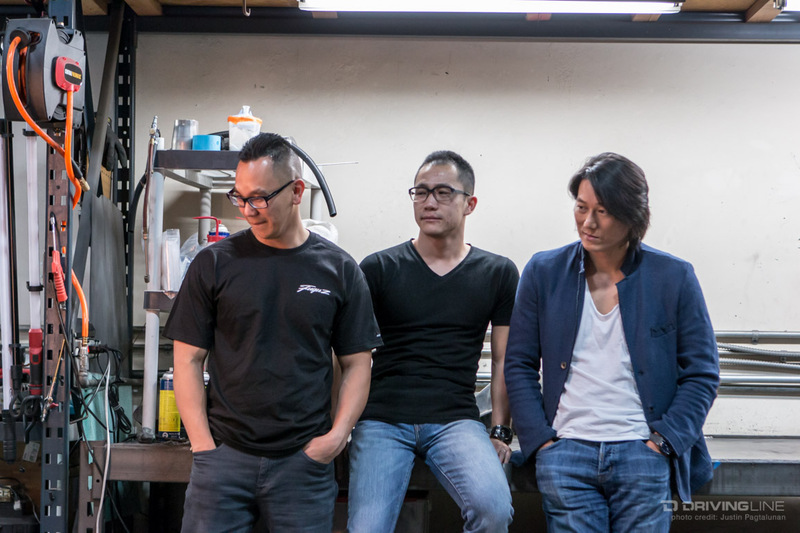 We learned two things, 1) Editor-in-Chief Jonathan Wong is NOT Sung Kang, and 2) we weren’t really feeling this spot for the final poster shoot. 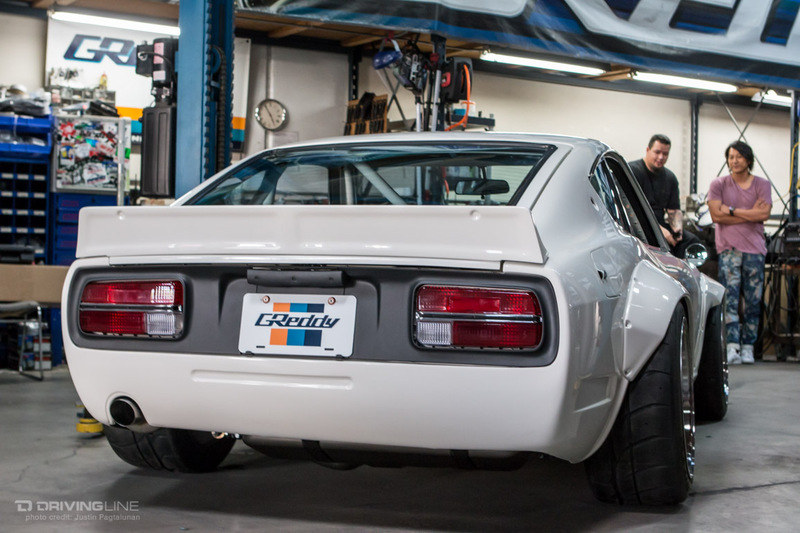 It was time for a change of scenery, so we decided to pop back inside the garage to see how the Fugu Z was doing. That's where it happened. 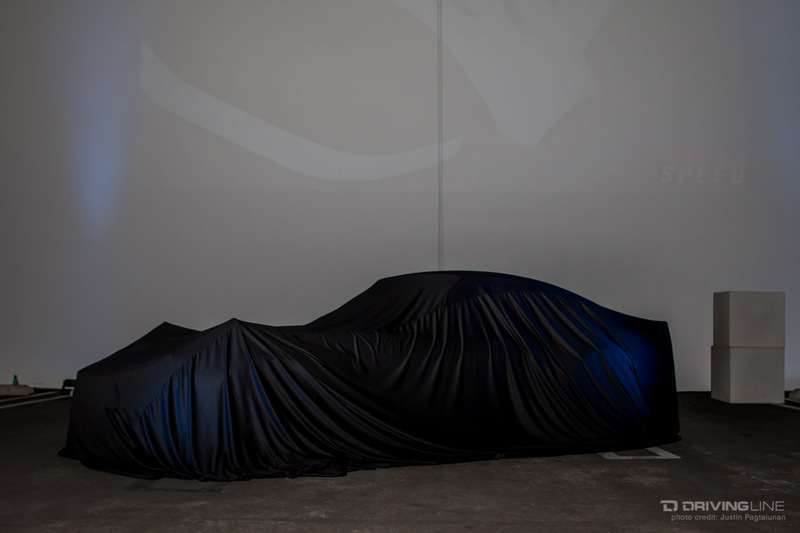 The raw ambiance of the garage was too good for the photographer to pass up; he really felt the mood was perfect and played along with Sung's story of building this car. 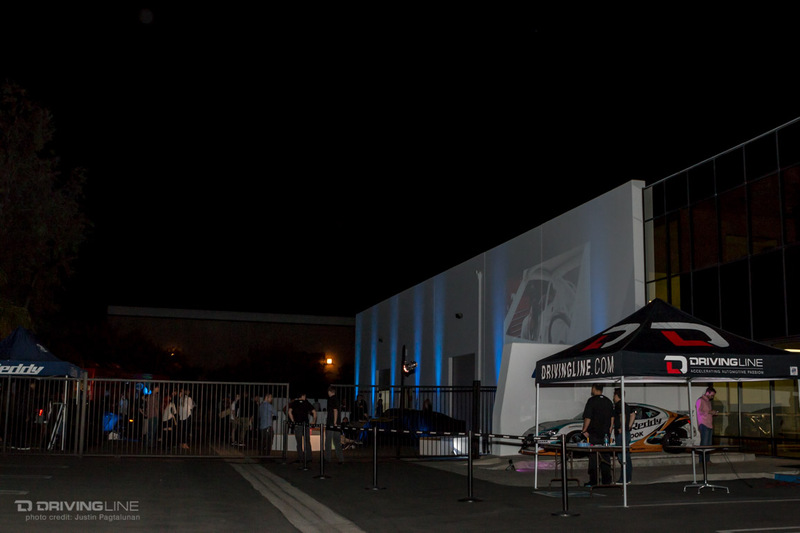 Like I said, there were still some things needed to be finished on this car before it would be ready for the reveal party later that night, let alone SEMA in a few days. While we moved the camera equipment inside, HyTech was tack welding the exhaust pipes temporarily and AEM was doing its first tuning of the EMS. We weren't the only ones killing time before we got in some serious work. 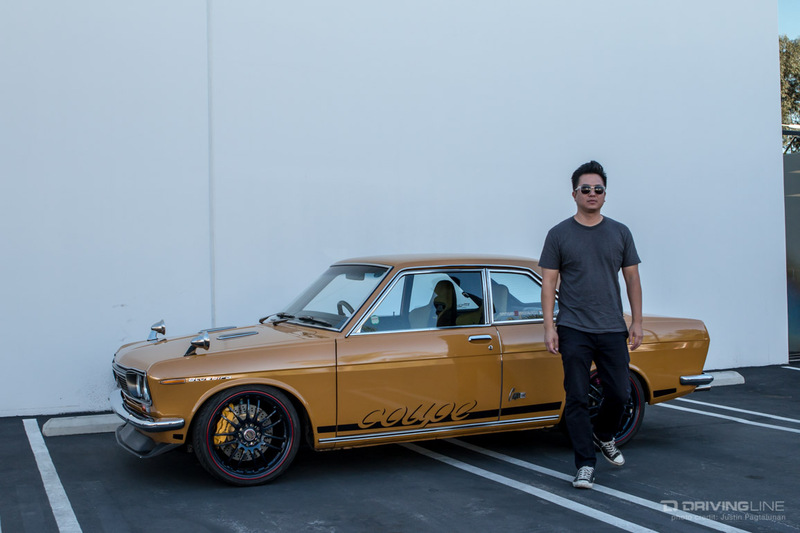 We caught Sung Kang asking for an autograph from Formula Drift driver Ken Gushi, who stopped by to check out the build. 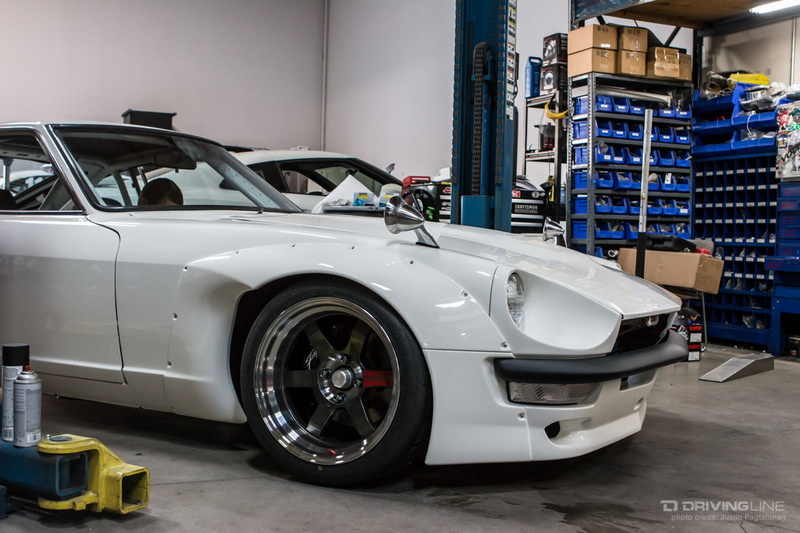 Soon enough, it was finally time - the Fugu Z was all ours! The garage doors were closed, the lighting adjusted, it was time to shoot. We wanted to capture the emotion between a man and his build in this poster and Sung really delivered. Of course it wasn’t hard for him when the feeling was honest. Between shoots, Sung would pick up a shop rag and started cleaning his car like any petrolhead would. The hard work was done and just in time for the party to start. 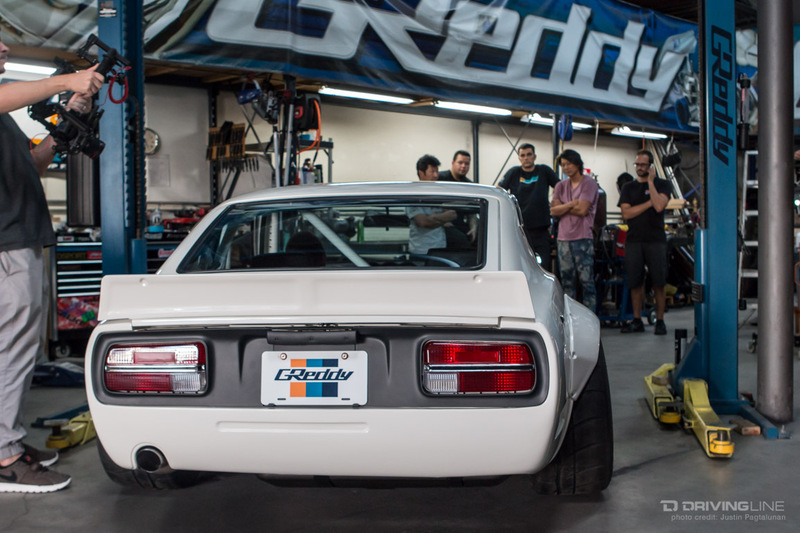 Special guests were invited to a private event at the GReddy HQ for the unveiling of the completed Fugu Z! 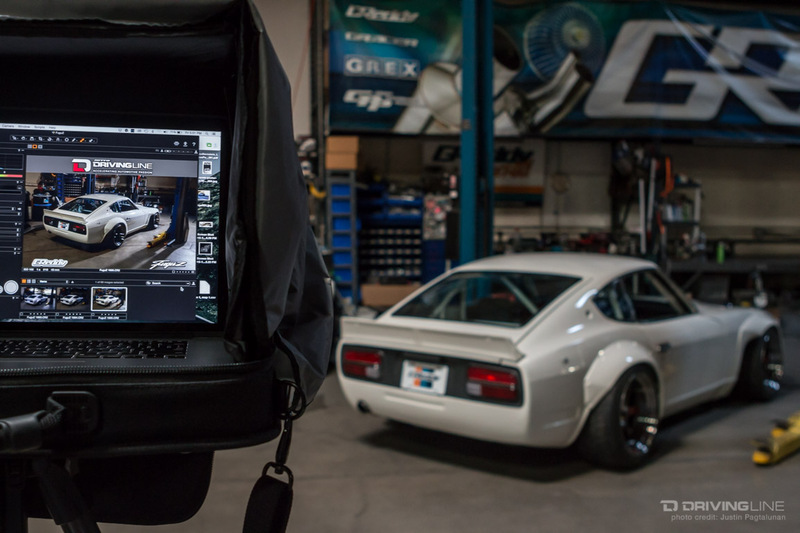 Check out the gallery below for more behind the scenes photos from the Fugu Z poster shoot.